Some of Google Nexus & Pixel Smartphones User Manuals PDF above the page. In 2008, Google and T-Mobile introduced the first commercial product in New York based on the Google Android operating system. He became a cell phone T-Mobile G1. The phone is made in the form factor of the side slider, equipped with a touch screen 480x320 (65 thousand colors) and equipped with a camera 3.1 MP. The first device of the Nexus line was Nexus One, which was introduced on January 5, 2010. It is worth noting that the smartphone was quite expensive ($ 529), and was sold through the online store Google. Nexus One was the first device to receive the latest version of Android 2.1 Eclair. Thanks to Snapdragon processor with a frequency of 1 GHz, and 512 MB of RAM, the Nexus One was one of the fastest and most interesting devices on the market at that time. Among other characteristics of the smartphone is to allocate 3.7-inch AMOLED-screen, 5-megapixel camera with LED flash and digital zoom, as well as a battery capacity of 1400 mAh. Nexus One was not bad, but its direct competitor HTC Desire (PDF Manual) was sold at a lower price, and was available in all retail stores. 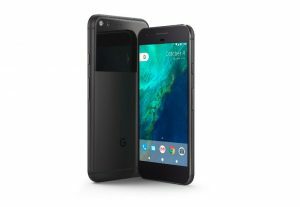 For the first week, only 20,000 smartphones were sold, and then Google realized what their mistake was. Nexus 5X was positioned as an average smartphone, and thanks to the price of $ 379 it was to become a worthy receiver for Nexus 5. 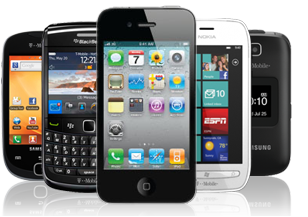 From the design point of view, the smartphone was not much different from its predecessors. The only exception was the "camera" that moved to the middle of the back panel, and a fingerprint scanner. On technical characteristics Nexus 5X practically did not stand out among competitors. For the performance of the smartphone was responsible processor Qualcomm Snapdragon 808, and 2 GB of RAM. Nexus 5X received a 5.2-inch screen with a resolution of FullHD, and a battery capacity of 2700 mAh. The main camera of the smartphone was represented by a 12.3-megapixel module with laser autofocus and the ability to shoot video in 4K. 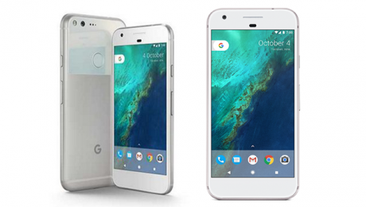 The Nexus 5X and Nexus 6P became the first Google smartphones with a USB Type C port. If the LG Nexus 5X (ManualPDF page) was involved in the creation of the smartphone, then the development of the Nexus 6P was entrusted to Huawei. By the way, this was the first time when Google trusted the release of Nexus company. The Nexus 6P received a 5.7-inch AMOLED display with a resolution of QHD (2560 x 1440), a more powerful Qualcomm Snapdragon 810 v2.1 processor, 3 GB of RAM, and a 3450 mAh battery. Due to the presence of optical stabilization, the 12.3-megapixel main camera of the device allowed to get even better photos than the Nexus 5X camera. Thus, having released just two smartphones, Google tried to "kill all the hares." Those who wanted to get an inexpensive smartphone with bare Android 6.0, bought the Nexus 5X. Those who liked the large and long-lived phablet, chose Nexus 6.